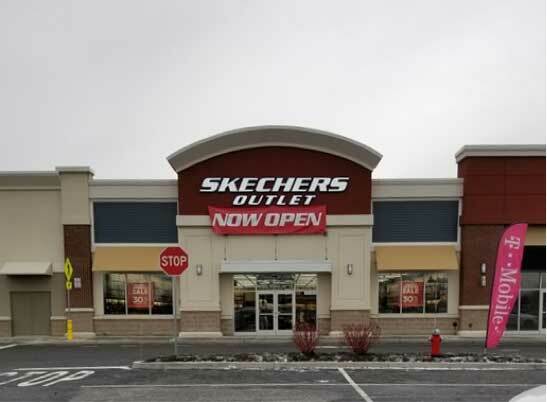 The Skechers Factory Outlet store had their grand opening on Thursday, February 1st at their new location in Latham, NY. Skechers leased 8,110 SF of inline space. This is Skechers first location in the Capital District. Skechers has joined retailers including Lowe’s, Walmart, Bob’s Furniture, Burlington Coat Factory, T-Mobile, SportClips, GameStop, Moe’s Southwest Grill, Uncle Maddio’s Pizza, and Jersey Mikes. Jeffrey D’Amore, Thomas Rosetti, and Matthew Weinrieb of Cushman & Wakefield | Pyramid Brokerage Company facilitated the lease on behalf of Skechers and will continue its expansion efforts throughout the Capital District.